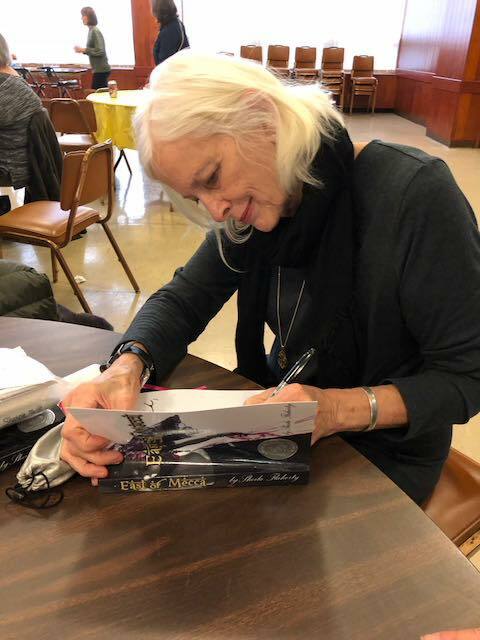 Sheila is available for book clubs and fundraising events in Chicago and some suburbs. Sheila is also happy to Skype or FaceTime for groups at longer distances. Please see the Book Club & Reading Group Topics for Discussion page for more information. 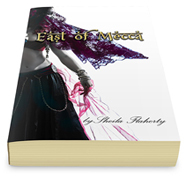 Sheila presented and read from "East of Mecca" at the Sinai Temple of Michigan City. 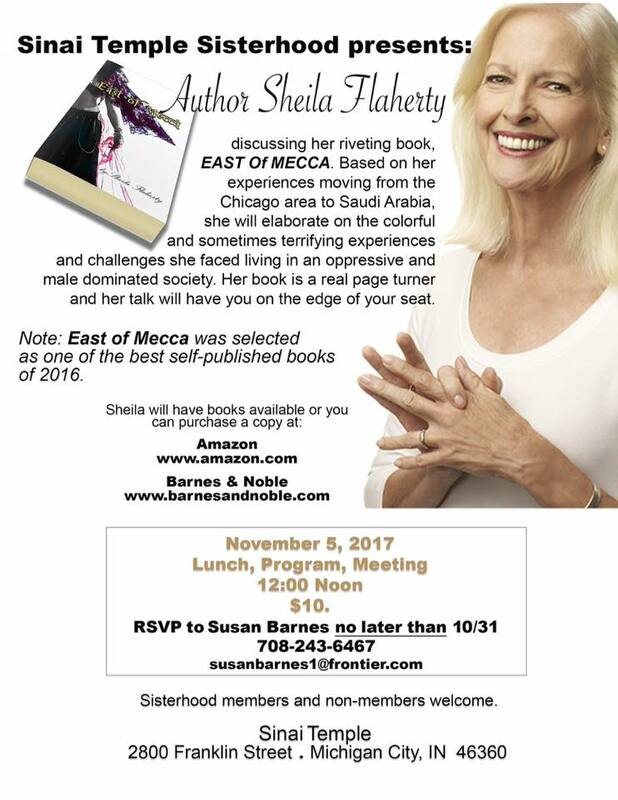 "Yesterday, Sunday, 11/5, when author, Sheila Flaherty, presented and read from her novel, EAST OF MECCA ... based on her real life experience in Saudi Arabia. First, Sheila is such a lovely lady. 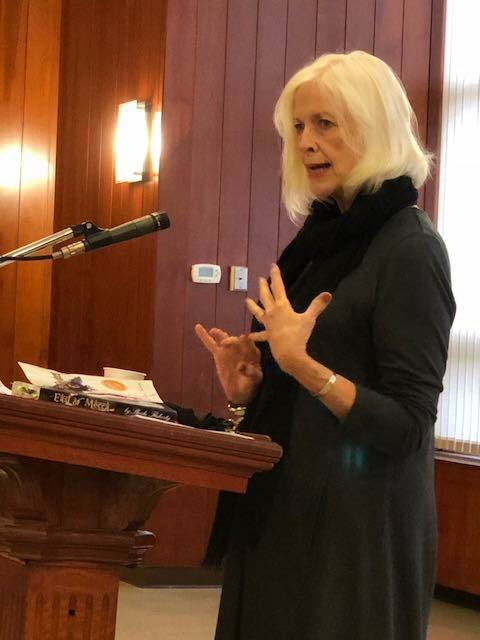 Relating the realities of her story very naturally reflected her truth, integrity, sensitivity, and talent ... all wrapped up in a poignant delivery. 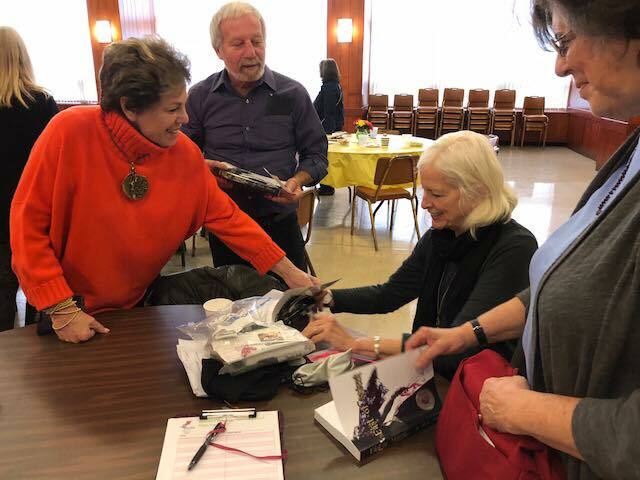 At times she brought the audience of women and men to pin-drop silence, and gasps of disbelief at learning more about gender apartheid in our world. We cannot recommend this book more highly. It is sold at Amazon and Barnes & Noble. The story may not be easy to digest, tho written so well ... words painting "visual" art. The story, however, is excellent and necessary to hear for our growing consciousness ... to face life's toughest truths, and act toward change. Thank you Sheila! 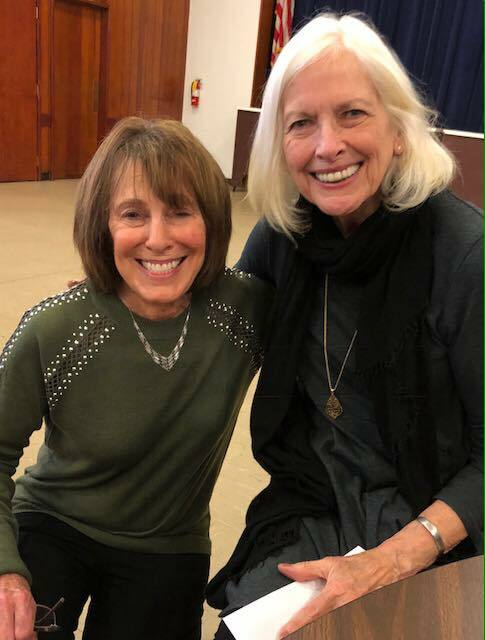 Thank you, Sharon Goodman, for bringing your friend to us. And thank you Sinai Sisterhood for arranging this wonderful community program. We look forward to many more quality events." There are additional photos and more information posted on the Temple's Facebook.